Items that simply do not sell are broken, chipped, cracked, damaged, dirty, odorous, scratched, worn-out, stained, torn, wet, moldy, rusty, frayed, disassembled or incomplete. 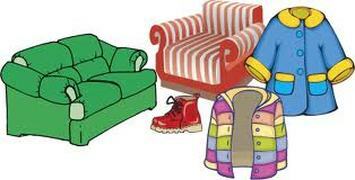 Items that have spent numerous seasons exposed to pet hair or the elements. Items that have survived a month of garage sales. We are forced to haul items like these to the dump, which is costly and wasteful, and takes away funds from our quarterly disbursements to charities. Cribs without drop sides, and slats less than 2 3/8 inches apart and newer than 1973. Car Seats that have been in an accident or more than 5 years old. Videos that are home recorded or that don't have covers or cases. Encyclopedias or Books that are falling apart. Paint varnish, household repair, etc. Non-working computers, monitors, keyboards, etc.